No 2 Canal Road Lower. Seldom has a Galway property generated such interest and positive reaction as No 2 Canal Road Lower with people gathering outside the house 20 minutes before the open viewings began. The sellers of this property have gone to great lengths in preparing the house for sale and this was appreciated and commented on by many and highlighted the benefits in spending a little time and money in getting your property ready for sale. The bright entrance hall with its original staircase and tiled floor sets the tone for the rest of the house. The very tastefully decorated sitting room has a large window that picture frames what this house is all about, and everyone needs to see for themselves which is its incredible setting on the banks of the canal in the centre of the city yet in a peaceful tranquil setting. The kitchen/dining room has a patio door opening on to a large sun filled west facing yard with side entrance. The yard has a partly completed block built shed offering potential to develop subject to planning. On the first floor there are three bedrooms, two of which are en suite, and a separate bathroom. 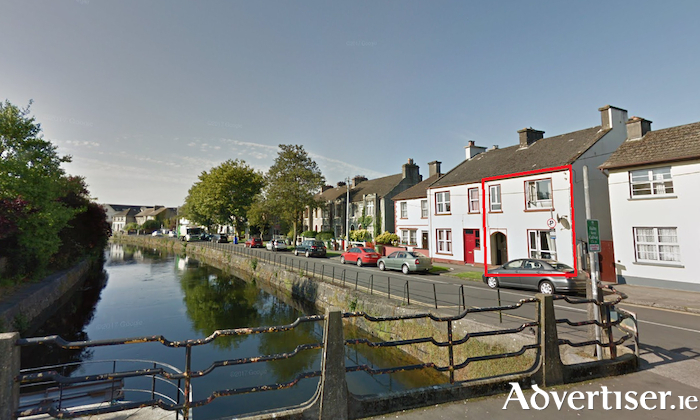 While the accommodation of this semidetached home is in turnkey condition, it is its city centre location on the banks of the canal looking out at St Joseph's Church that sets it apart from any property currently for sale in Galway. Properties on Canal Road seldom come to the market so immediate viewing is recommended in order to appreciate what is on offer. No 2 Canal Road Lower will be offered sale by public auction with Colleran auctioneers on March 28 at an advised minimum value of €345,000. It will be open for viewing on Saturday from 3pm to 3.30pm. Also included in Colleran's March auction are No 215 Gort Na Coiribe, a quality two bedroom first floor apartment opposite Dunne's Stores on the Headford Road, AMV €195,000, open viewing each Saturday from 11am to 11.30am; No 15 Glenburren Park, Tuam Road, a bright spacious detached home in turnkey condition at an AMV of €240,000, open viewing Saturday from 12 noon to 12.30pm; No 98 Monivea Park, Ballybane, a three bedroom semi at an AMV of €190,000, open viewing this Saturday from 1pm to 1.30pm; No 6 Abbey Court, Mary Street, Galway, is a two bedroom duplex in the heart of the city selling at an AMV of €190,000, open viewing on Saturday from 2pm to 2.30pm; and a two bedroom first floor apartment at No 9 The Acres, Knocknacarra Road, AMV €180,000, open viewing Saturday 4pm to 4.30pm.